In this era of competition. If you want to start a blog. Then you must know how to optimize a WordPress website for SEO (Search engine optimization)? Without good SEO your blog can’t compete with others. So guys here I’m going to share the best SEO practices for WordPress. which will take your website to the next level. How to optimize a WordPress website for SEO? So, guys, Above points are for a beginner blogger. If you are just starting your blogging journey then for the SEO purpose you check those points first. Now, let’s move to the advanced SEO practice for your WordPress website. In 2019 there is a lot of competition. So, to stand out from others you should have a good SEO optimized website. Without a good SEO optimization, you can’t reach your targeted audience. So, indirectly it will decrease your sale. Yu know everybody wants good sale & a good profit. If you are interested too, then you are at right place. Here I’m gonna tell you the best WordPress practices that really worked for me. And you can also follow these steps to optimize your website. You need to know the keyword for which you will compete with others. Accordingly, do the further optimization of your articles based on that keyword keeping all the best SEO practice in mind. There is so many keyword research tool available for you to do this. You will get both paid and free. First, let’s talk about paid tools available on the market. Tools like Semrush, Aherfs, Moz etc are the paid tool you can choose. Among those Ahrefs is the most popular one among the bloggers. You can also use free tools like Google AdWords, Keyword Shitter, and many more. If you are interested then you can google them to know more about free tools. And among the free tools, the Google Adwords (keyword planner) is most popular. You must try this out it is very useful and provide a lot of data for free. Actually, this keyword planner is not created for the content writing. It is for the advertiser that publish ads on google. But no doubt it is useful for bloggers too. So, now you get to know that proper keyword research is important to optimize a WordPress website for SEO. Every time you search something on Google you want the best results and Google also wants to provide the best result to its user. So, you have to understand that to work accordingly. Google always ranked that article which has maximum word count which has useful information in their article. So, if you are also interested to get ranked in the google search then write long article include useful facts. highlight the facts by bold letter. Do not bold those unnecessary things in your article, only for the sake of SEO that’s not gonna work for long. Do the genuine work, Put your best effort and that’s enough. You will break the SEO rock. So, now you might be thinking what is the limit of word count? You can make it around one thousand words. You just focus on giving the full detailed information on the particular topic. It will automatically cross 1000 words. But yet, sometimes it is not possible to write long articles, reasons can be different with each individual. In that case, go with the content you have written. You don’t need to make that long. Don’t make your article long by putting useless shits. It’s not going to work. One the user will enter your website and if they do not find the right information then get ready to increase your bounce rate, which is not good for SEO and search rank will also decrease. Also read: How to fix “this site may be hacked” Google search Error? The theme is that part of the website that controls the whole user interface of the website. And you definitely know the value of having good user interface. A good user interface can impress the customer more and this is obvious. And everybody wants clean presentation nobody wants messy thing. So, if possible try to go with the premium theme. Those premium them are lightweight, fast, mobile responsive, easy to customize and you also get support at time you need. If you do not want to invest then do not worry there are lot of free option available. 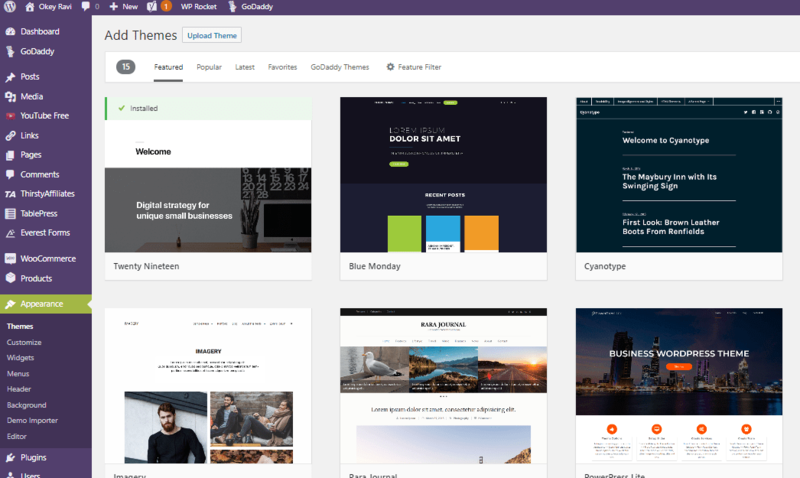 Just visit www.wordpress.org and choose from thousands of free themes. The image is the most interesting part of an article. Everybody loves good images while they are reading something. Image increase your interest in the topic when you are reading. And we all know that an image is enough to describe a thousand words so it worths including an image in your post. Googlebot also love images that’s why it also give more preference to those articles which have sufficient amount of images along with the text. Do not just add images for the sake of SEO. Always insert those images which relate to your topic that you’re talking about. It will make reader more interesting and they will spend more time in your blog. Which will increase your session duration and decrease website bounce rate. Also, don’t forget to optimize your images by adding title, caption, description etc. It helps the images to ranked on google for the particular keyword. Which will definitely drive more traffic to your blog via your optimized image. In optimizing a WordPress website for SEO good sentences always play a pivotal role. A grammatical mistake is the most annoying thing for your blog post. It really decreases your reputation among your audience. Google also does not like a grammatical mistake. Google decreases the ranking of those post that has lots of grammertical mistakes. So, don’t make grammatical mistakes in your content. There are so many free tools available on the internet. You can choose one that suits your need. Talking about myself I always go with Grammarly. It is an amazing plugin available for all major web browser. Grammarly has both free and paid version. If you have money then I will recommend you to go with paid version. And free version is not bad you can use the free version without any hesitation. As said it’s better to have something than nothing. Also read: How to disavow negative backlinks of your website? Yoast SEO plugin is the most useful plugin for every WordPress blogger. No doubt, Yoast all have some good and stiff competition One of them is All in One SEO, this you can also use for SEO purpose. But I will recommend you to go with the Yoast. 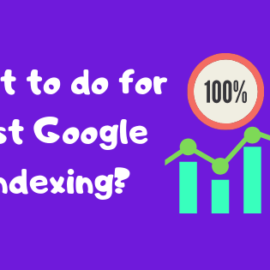 Yoast SEO is simple and has so many functions like you can customize your meta description, meta tags, URL slug and many other things. One thing I like most about Yoast is that it does that analyzation for readability. This readability analysation is very useful here you can easily know the things that have gone wrong in your post. It also provides the tip to correct them. 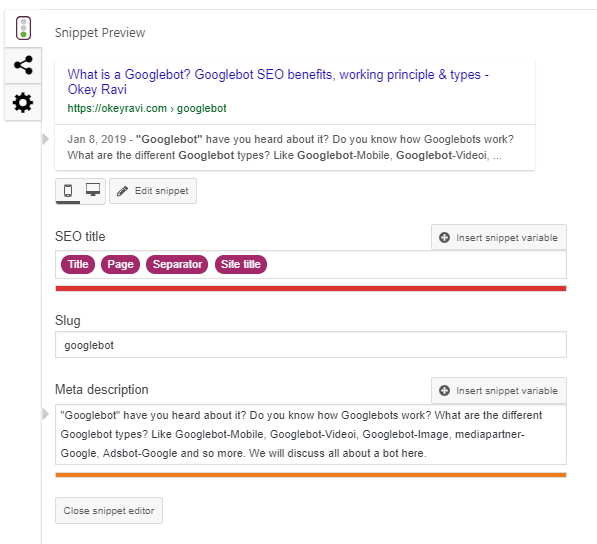 In Yoast, you can also see the snippet preview of the appearance that going to appear in the Google search. You can easily modify meta description, URL and title of an article. Along this, you also have options to add Meta keyword and Related keyword with the synonyms. Get an SSL certificate for your website. Https is very much important. Google give more preferences to those URL which has Https:// over Http:// here ‘s’ stand for security. Having https:// make a good impression to your user it feels more secure to your user. If you on not have SSL certificate then you can contact your hosting provider to get on for you. You can also get this SSL certificate for free. But I never recommend you to go with FREE SSL Certificates. Most of the hosting providers like BlueHost, Interserver, Namecheap they provide SSL with Hosting. There are so many methods available by which you can get a free SSL certificate for your website without paying a buck. Google will know your user engagement via your comment section. More comment in comment section means more user in your website. And more user means your content is more useful. So, always reply to query of your user. Try to solve their issues. By doing this you will get more comment in future. And while replying to query try to include the keyword. That will be more useful for your SEO point of view. It will increase the keyword density which is beneficial for SEO. 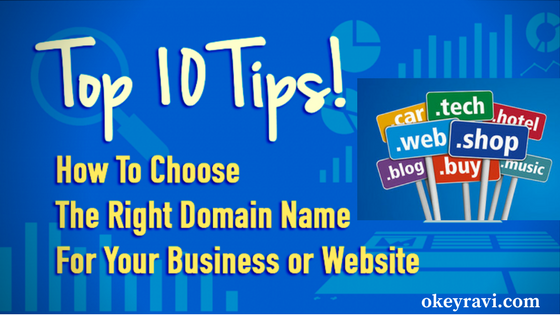 Read Also – How to rank a keyword in 10 Steps? What I would like to say that in today’s date link building is not so useful? The main thing is your content. Content is the king for good SEO. Try to have useful and detailed content in your blog that automatically gonna give backlinks. The reason is very obvious. People love to share good contents on Social Media or on different blogs. So. do not waste your time making backlink instead make good content that will persist forever. I hope now you understood how to optimize a WordPress website or blog for a good SEO. If you liked this article, then please subscribe to our YouTube Channel. You can also find us on Twitter and join our Digital marketing hacks Facebook group. ← How to bulk delete unused tags from a WordPress website? very informative website…kudos to the developer..
Best tips for WordPress optimization. Thanks, Sir. Thanks, Vivek, I am glad that my WordPress optimization tips had helped you. Hey Ravi, your articles are always helpful for me. Thank you so much. Now I have proper idea about how can I optimize my WordPress website for a good SEO? No, there is not any important update. If I get one. i will write about that.